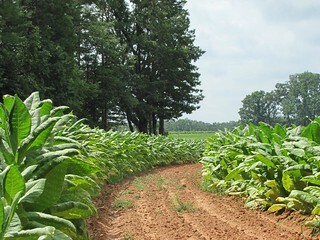 Part of an extensive tobacco field in Prince Edward County, Virginia, between Farmville and Charlotte Court House. Most of my other shots of tobacco are from this location. If you use this photo on your website, you need to provide a link to this Flickr page.